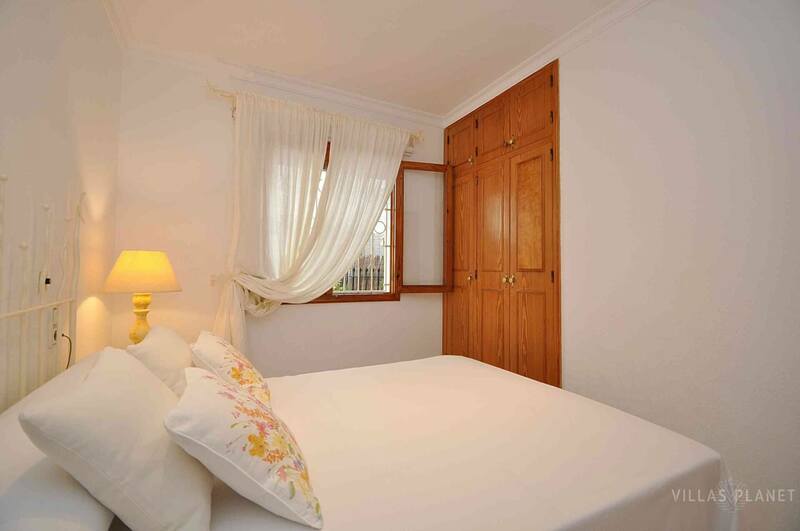 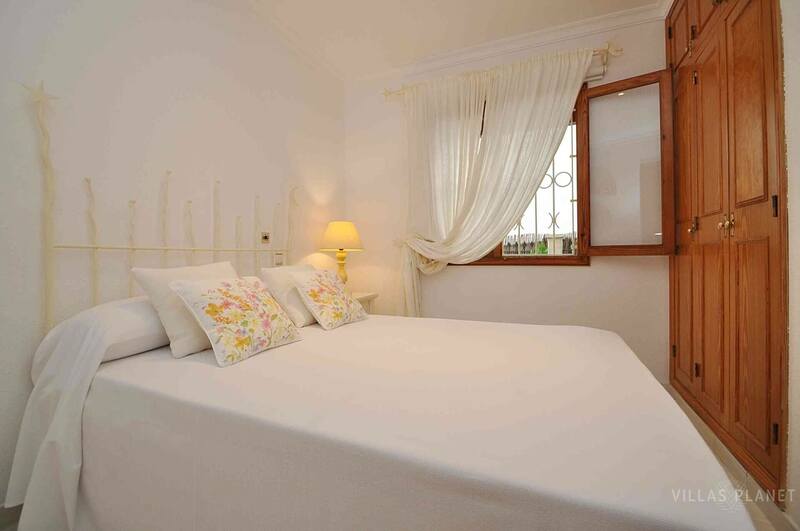 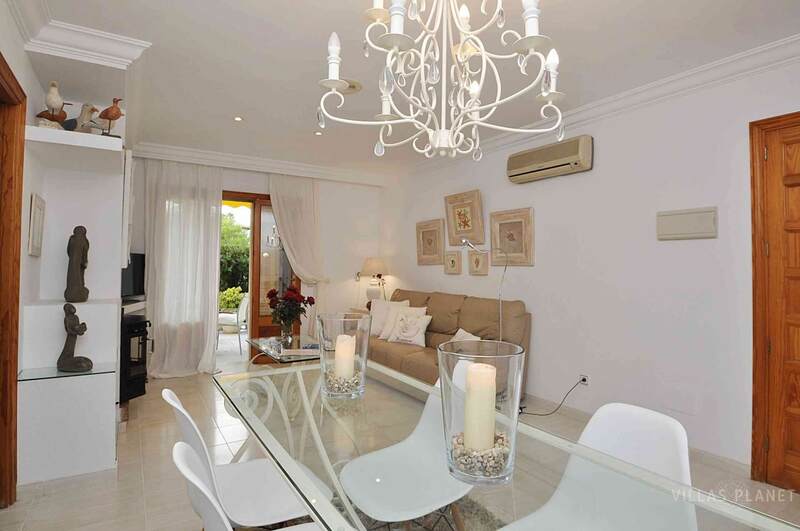 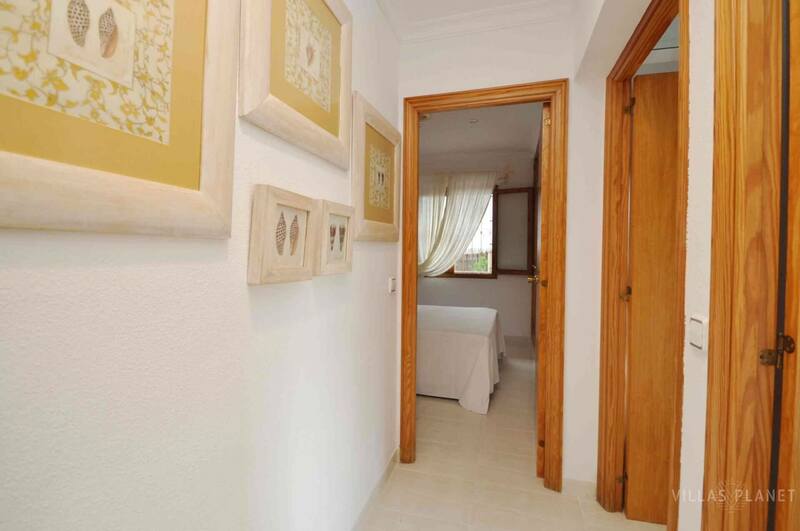 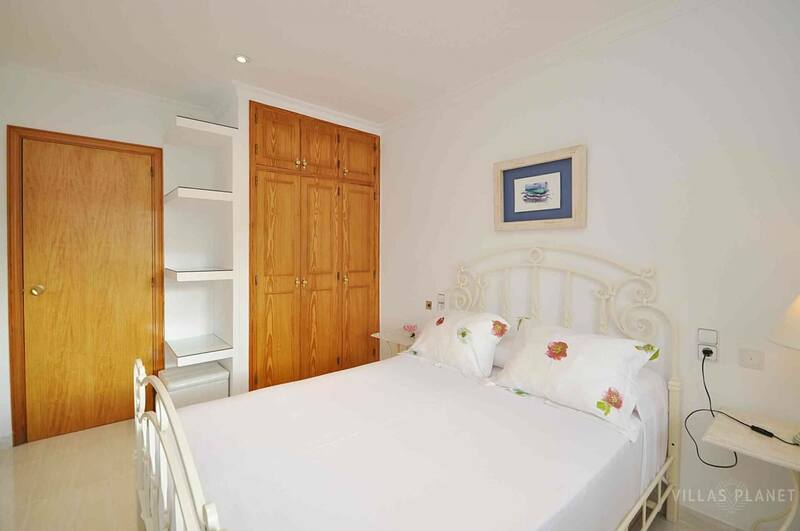 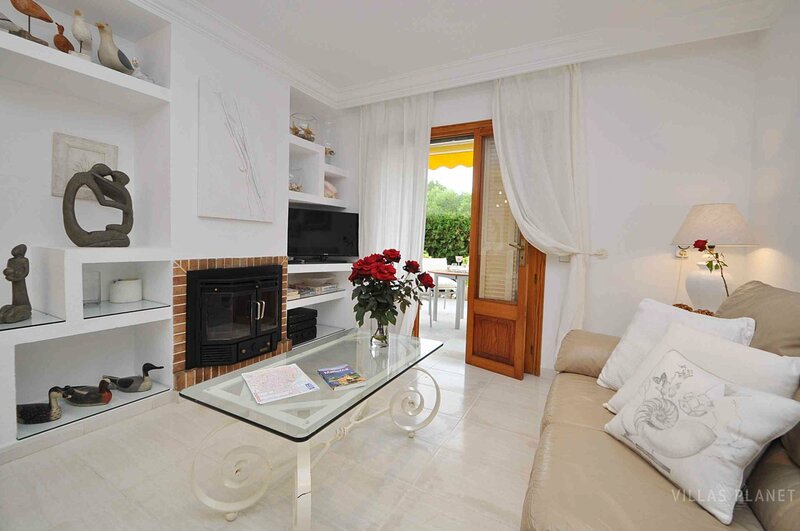 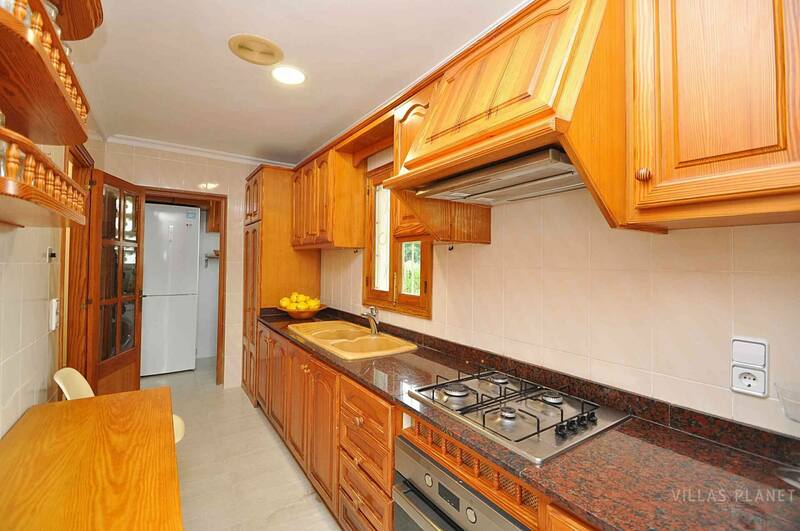 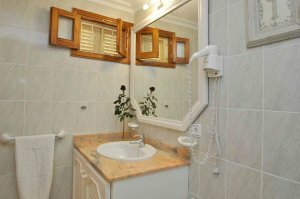 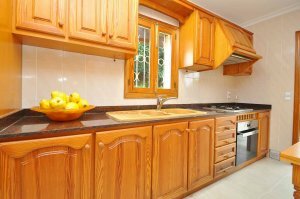 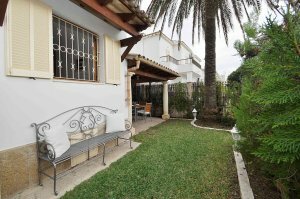 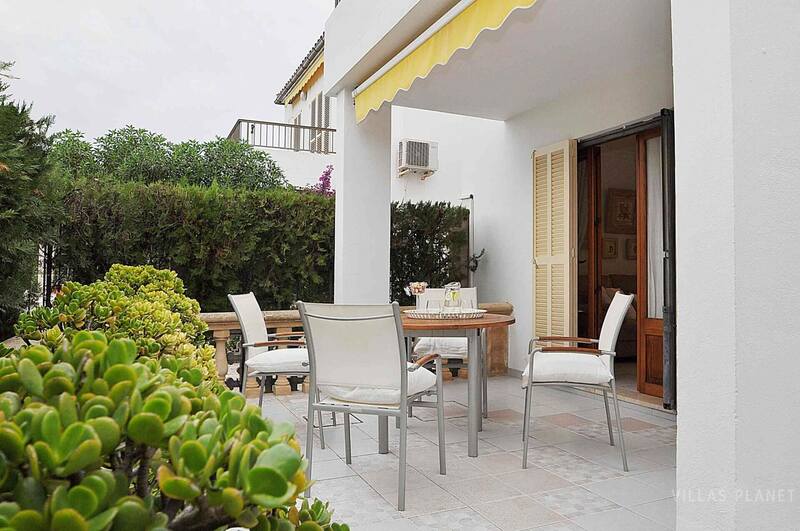 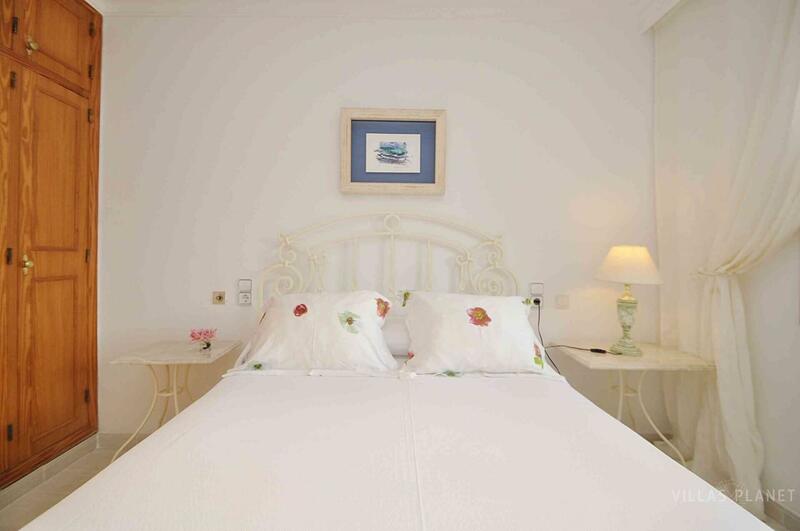 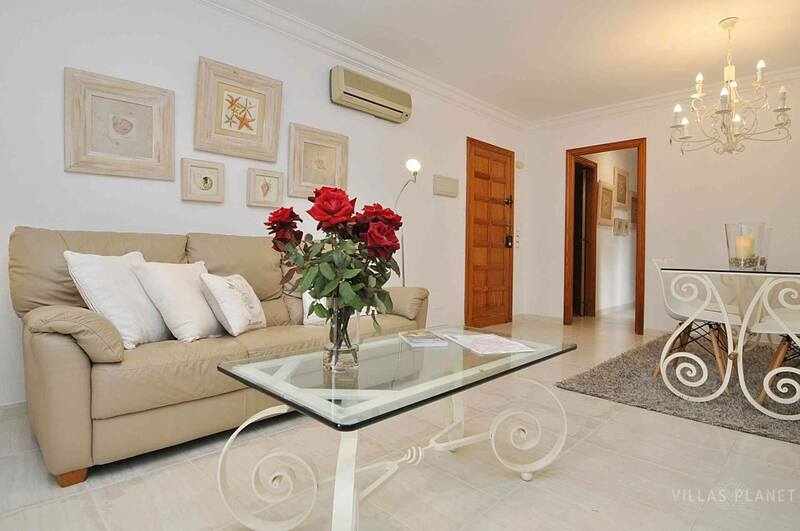 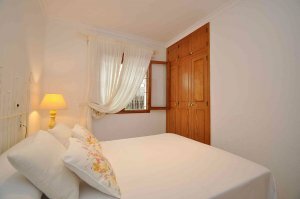 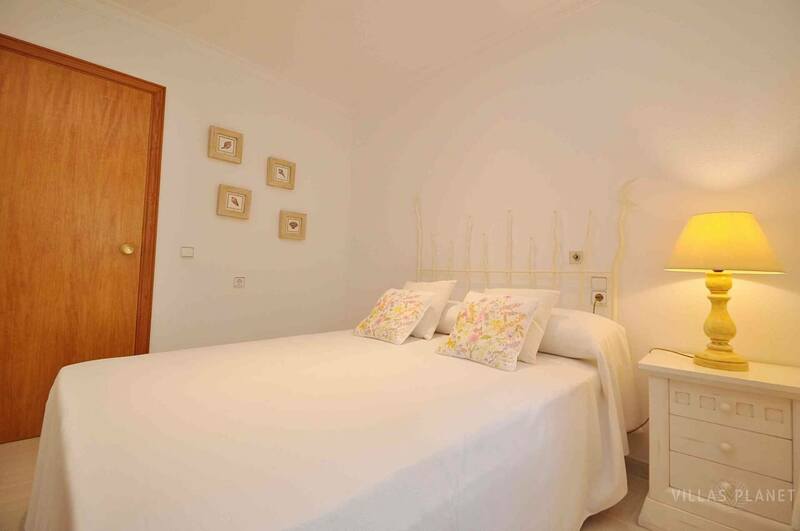 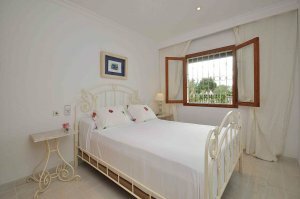 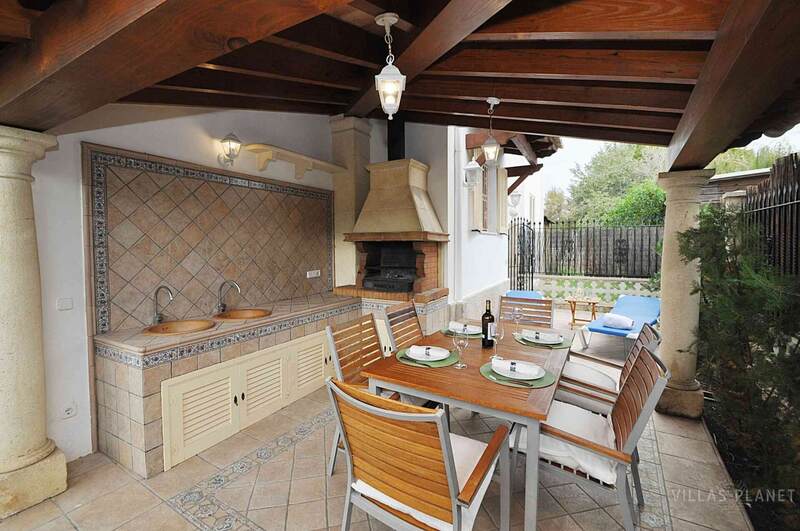 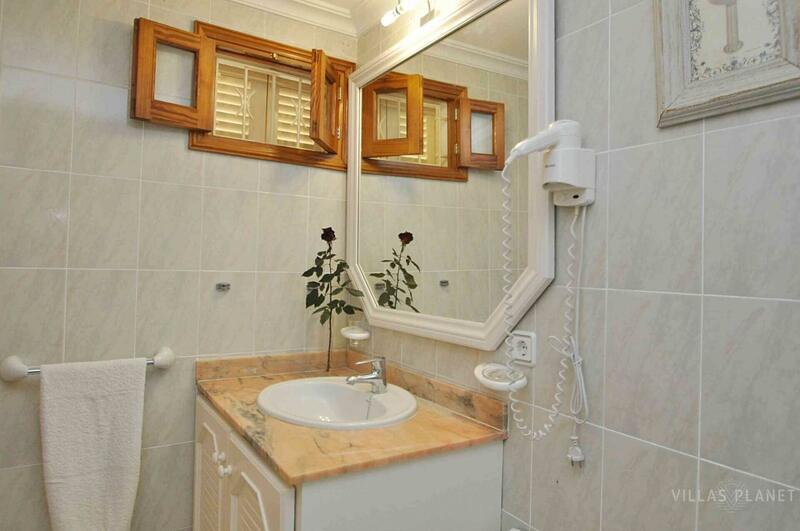 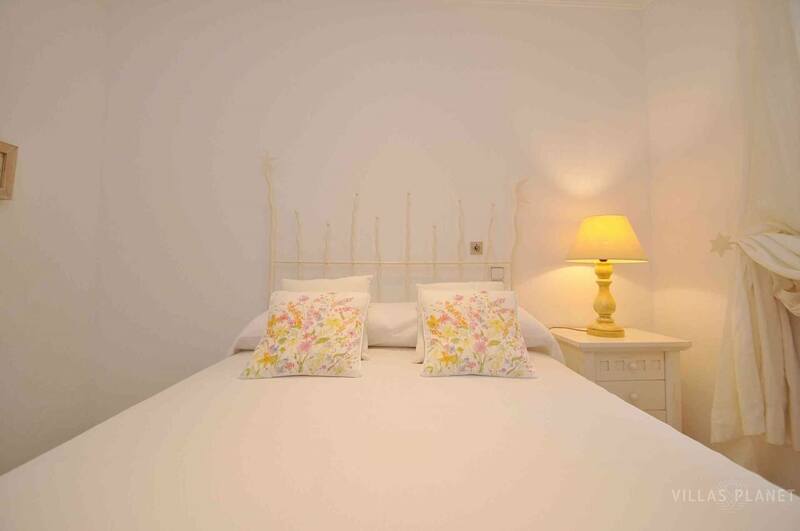 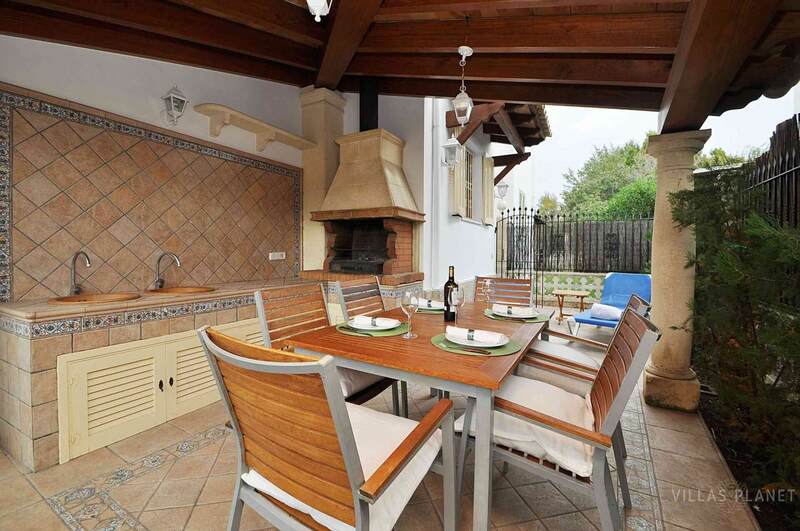 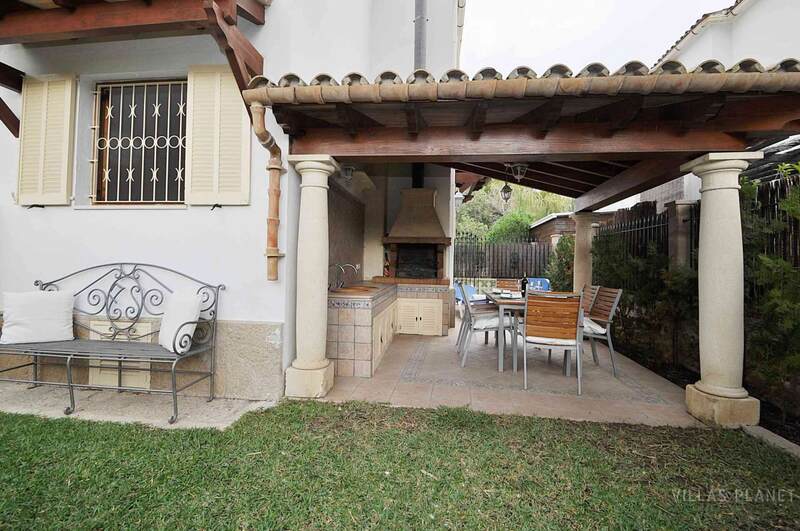 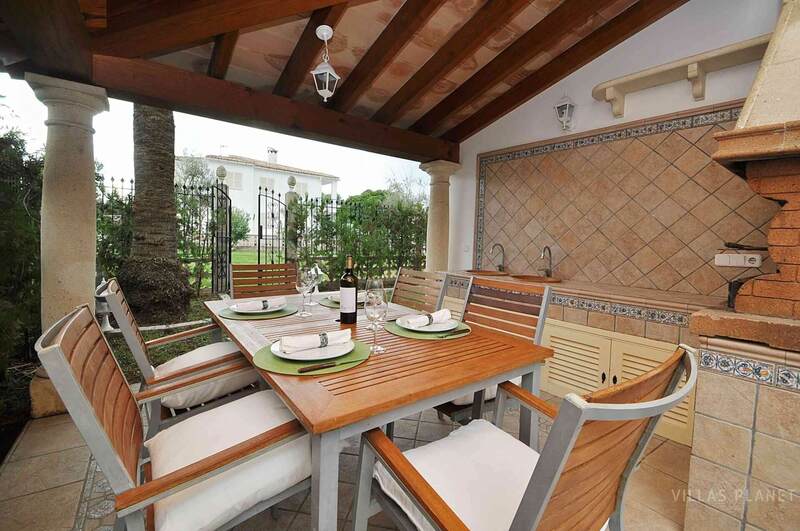 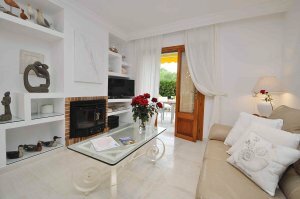 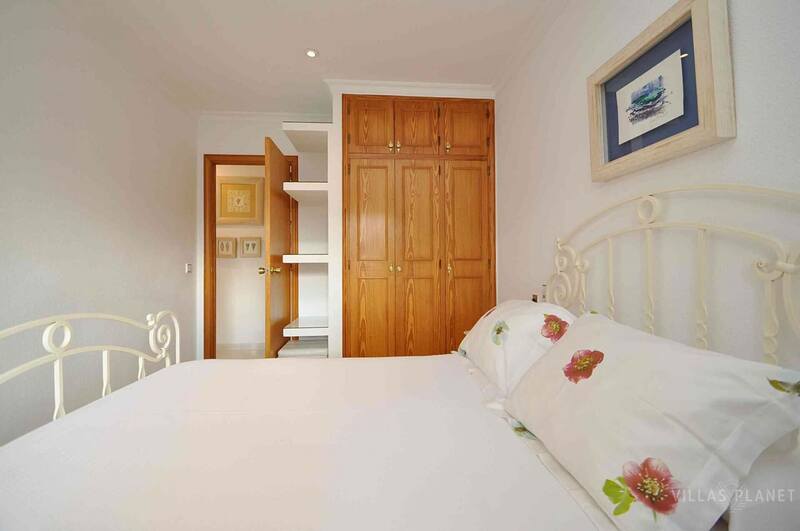 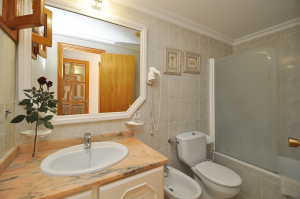 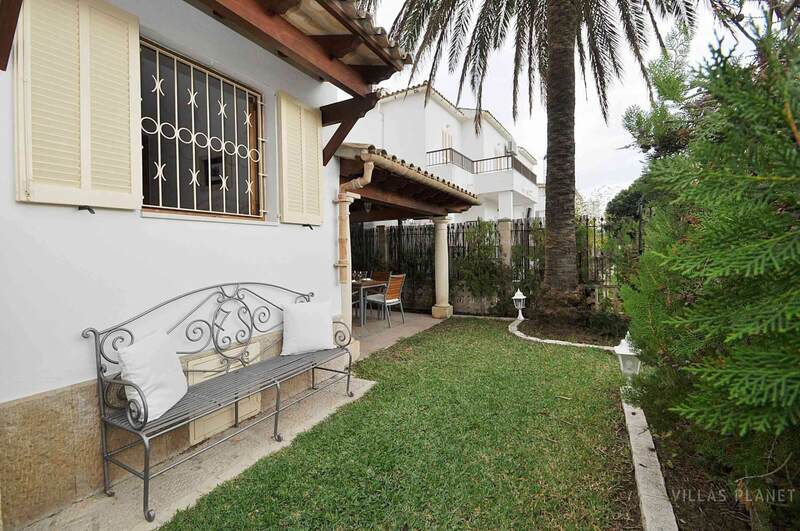 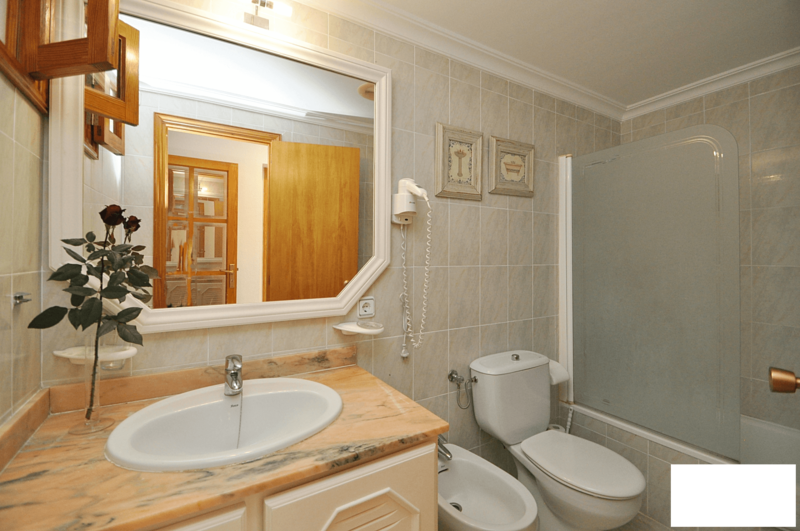 Ground floor apartment in Puerto de Alcudia, 5 minutes walk to the beach. 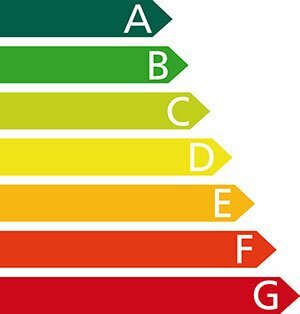 The house has a living room with terrace overlooking the mountains and garden, a fully equipped kitchen, three bedrooms, of which there are two, with a double bed of 1.50x1.90, and another with a single bed of 0.90x1.90, and a bathroom with tub. 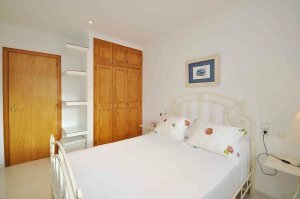 Decorated in modern style with a fresh and elegant style is equipped with air conditioning, satellite TV, Internet Wifi, and in the kitchen, dishwasher, microwave, blender, toaster, kettle.Outdoor terraces and furnished veranda with barbecue, garden and access to a large communal pool surrounded by gardens. 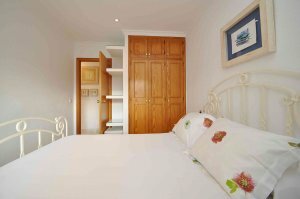 On the upper floor there is another tourist house with similar characteristics, which is ideal if you are renting for two families, both of which would have room for 10 people if needed. 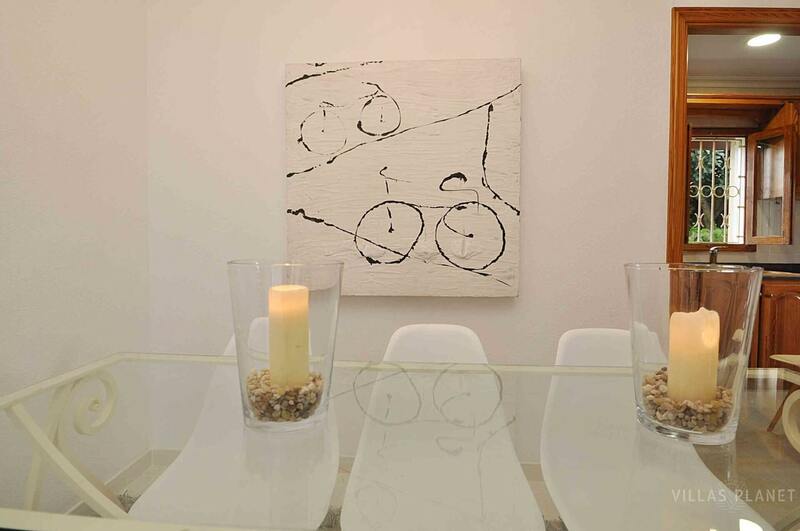 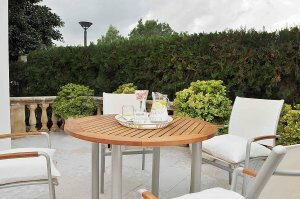 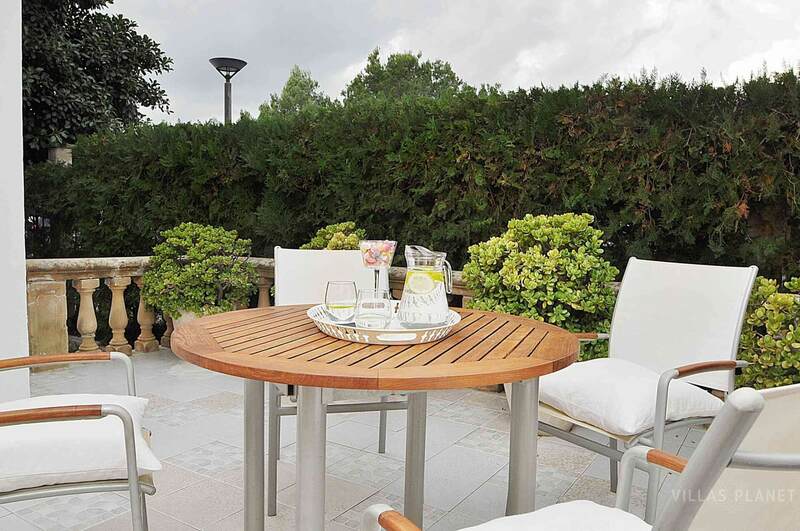 The distance to the beach is 5 minutes on foot, about 900 meters and to the airport of Palma de Mallorca 45 minutes by car, about 60 kilometers.